lots and lots of work i've done. a little bit of rain. a little bit of sun. some bows. some ribbons. masking tape too. but still so much more work to do. still a little time for a lovely cup of tea. an apple. a pastry. always time for that you see. the project i'm working on...icing. sugar. cream... is all about cakes. i'll make it pretty with ruffles. frills. well whatever it takes. i watched a cinderella story. and charlotte's web today. they made me really happy. much more than ok. the cute and sweet renee shared with me this wonderfully scrumptious macaroon. yum. thank you. This project sounds so sweet and delightful already. 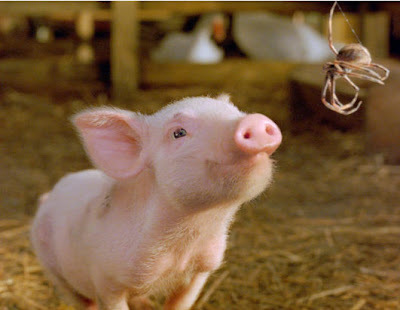 Aww I haven't seen this version of Charlotte's Web before, the pig looks so adorable! The blouse is absolutely delightful, and -- just so you know -- I envy your little adventures. This week has been going rather slowly, and I would love to bake some chocolate chip cookies now, but it seems we're out of chocolate chips. And the laundry is calling. love your hair and that lacy top. have you seen dakota fanning recently? she looks so grown up now! I love your pink dress with the lace top! That blouse is very sweet, and those confections look sooo yummy! and your project sounds marvellous! all about cakes! fashion and cakes are my two favourite things in the world... this project sounds like someone i will absolutely adore. a cinderella story is a cute movie, and so is charlotte's web. my uncle worked on that movie, actually, he was one of the animal handlers. he works in one of the zoos in victoria, australia, where the movie was filmed and he handled some of the animals, including, one of the pigs! cute. i'm still blushing about your lovely gift. i must think of something to give back! until then, happy sewing/crafting/drinking tea. sounds yummy. ps. i made some raspberry cupcakes after salivating over the raspberry and peach muffins. they were lovely! Thats alright. I see you are a bit of a poet after reading that. I love the sound of your projects. i forgot to say that you look gorgeous in that pic! *sigh* i have such a clear idea of what i want, but no skill whatsoever with a sewing machine. Charlotte is such a heroine. Fern i so sweet in that film. A cinderella story is actually one of my fave films ever! I own two copies of it! It's such a nice happy ending. Pretty pretty bow. My sister is being a zombie bride too, she got a £1 wedding dress from ebay. I suppose you could be a dead bride in a pretty way? Really pale doll like make up and just add a bit of fake blood on your throat. Ooh I love A Cinderella Story! It is such a lovely film. I haven't seen Charlotte's Web though but the pig is adorable! Beautiful top! Your project sounds wonderful! your photos really captures me...they look magic! your top with the laces are amazing! Mmm, cakes. I really need to watch Charlotte's Web, I haven't seen it yet. awww!! i love ur blog!! Oh that lacey top is a dream and those strawberry macaroons! Like something out of Marie Antoinette! I love the fourth picture. I was just wondering, after being inspired by your blog & other beautiful things I have decided to start a scrapbook with pretty pic/things that make me happy. do you have any good magazines with awesome, artistic, and beautiful pictures/photos, and also great fashion ect.? It needs to be avaliable in Australia and please please less than $10. What a sweet and pink day... your life looks like a fairy tale! You have the most amazing eye for beauty, in the biggest sense of the word. Aw I love Charlotte's Web. You live in such a sugary pink perfect world. sounds like a delicious project! thank you. i lost a necklace my boyfriend gave me. im sure ur kitty misses you to! your shirt is perfect. I have something similar, only it's black. I can't seem to find anything like it in white and it's killing me! Hope you had a good weekend, dear. 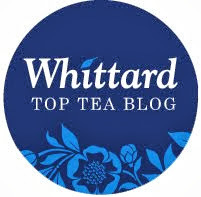 Your blog is so amazing. Everything is just so sweet and colorful. It makes me happy. I like your new blouse a lot. 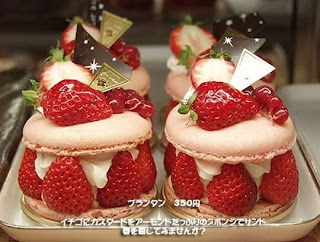 OMG that macaroon! I'm a bit of a macaroon obsessive. Others have cupcakes, I have macaroons. ure blog is very cute!